Maryville Title Agency uses our partner company RCS Computer Services for IT support. They recently hired Pioneer Media to take their website off of GoDaddy Website Builder onto our servers. 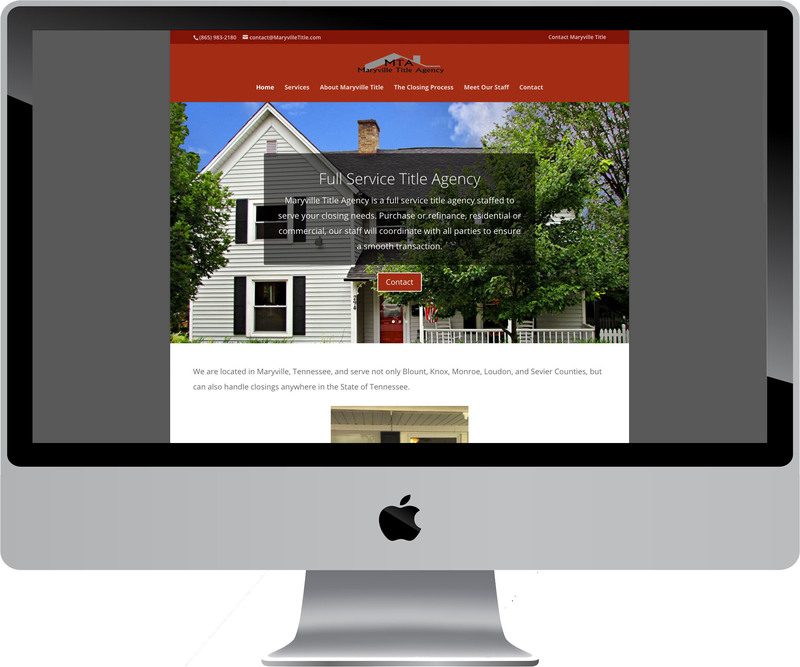 We rebuilt the website using the world-famous WordPress content management system. The new site is modern, mobile-friendly, and search engine-friendly. The Website Builder site was not ranking well in the search engines, but WordPress is known for being friendly to search engines. 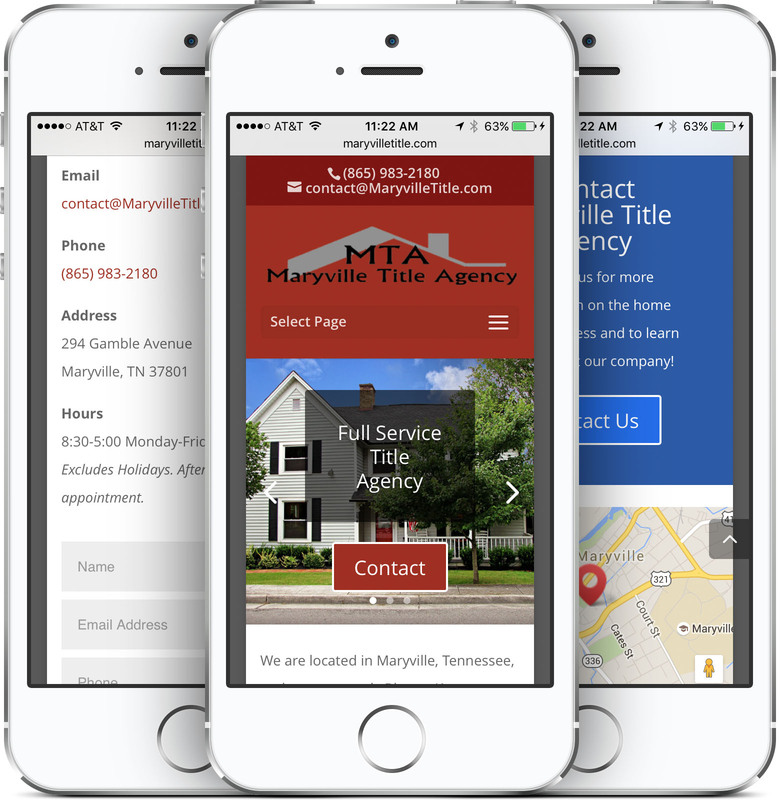 Maryville Title staff can login to the website and easily make changes to their new site. Their emails are now on a superior Exchange server, which cuts down on IT costs and greatly improves email reliability and security. 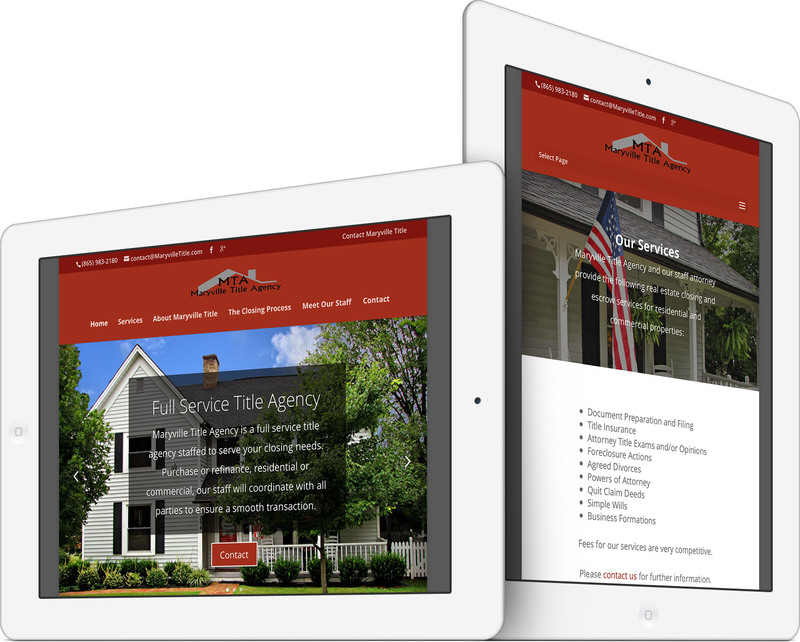 Pioneer Media actively provides website hosting, management, analytics, SEO, updates, and security for Maryville Title Agency. 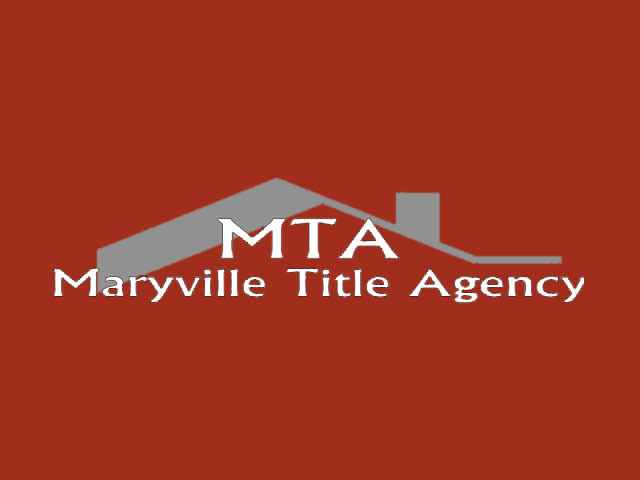 Maryville Title Agency is a full service title agency staffed to serve your closing needs. Purchase or refinance, residential or commercial, our staff will coordinate with all parties to ensure a smooth transaction. Pioneer Media offers professional service and great marketing tips! I have no hesitation in recommending Leighton to my clients, colleagues, friends and family. I appreciate the fast responses, reasonable fees and dedication! 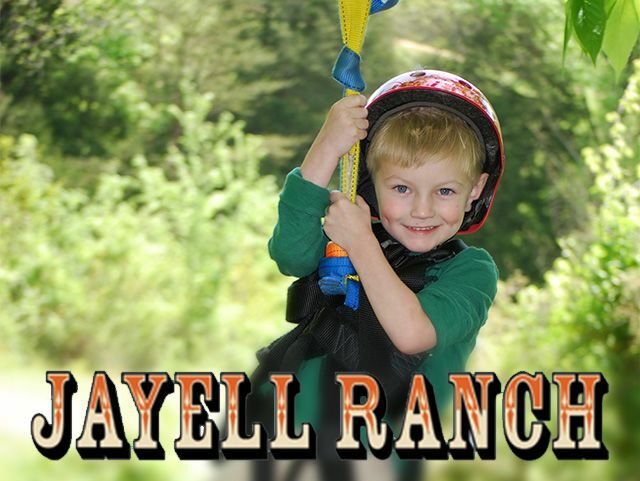 Maryville Title Agency looks forward to a great future business relationship!